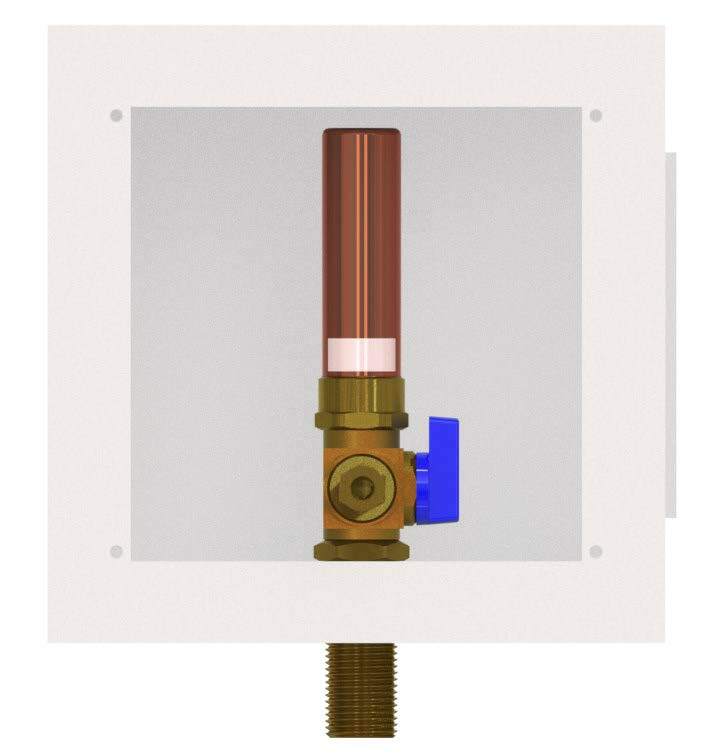 All the great features of our Metal Ice Maker Box with Water Hammer Arrester. White, 1/2" Copper Sweat x 1/4" Compr. White, 1/2" CPVC x 1/4" Compr. White, 1/2" CRIMP PEX x 1/4" Compr. White, 1/2" UPONOR ProPEX® x 1/4" Compr.